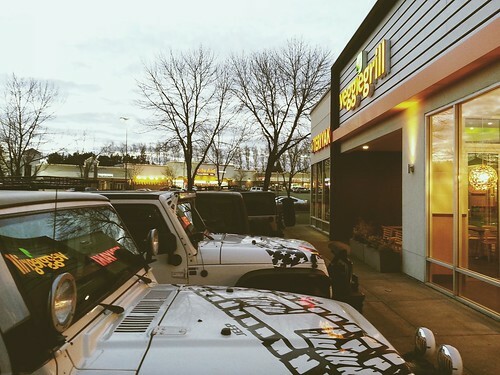 Jeeps, good beer, good food, and good people go together like…..like…..four things that should go together really well. The fifth thing? 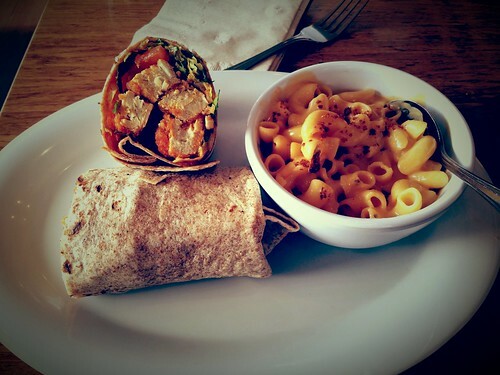 Delicious vegan food from Veggie Grill. 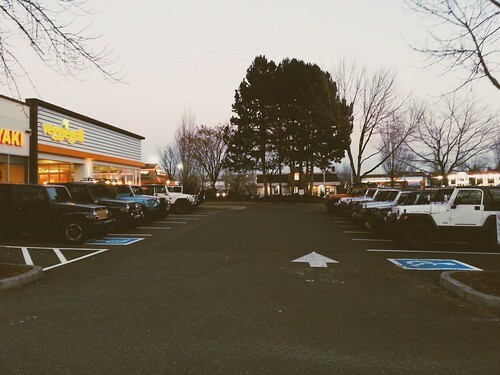 Each month, members of the NW Oregon and SW Washington Jeep club “Wranglers Off Road” have a get together. 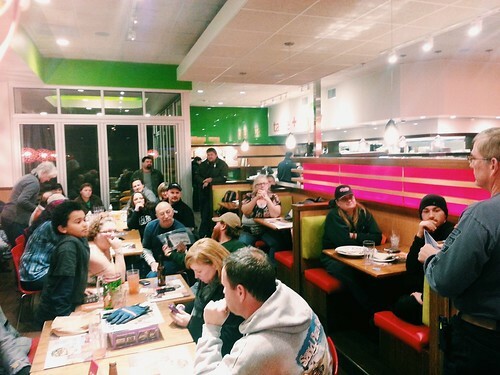 This month, they chose Veggie Grill in Hillsboro to hold their meeting. Veggie Grill was incredibly accommodating, setting up a meeting area and getting it ready. There were some sandwiches and salads prepared, while some others decided to order their own choices from the expansive menu. They had their signature sandwich – the Santa Fe Crispy Chickin as well as the All Hail Kale salad – an awesome choice for the new, albeit temporary vegans in attendance. 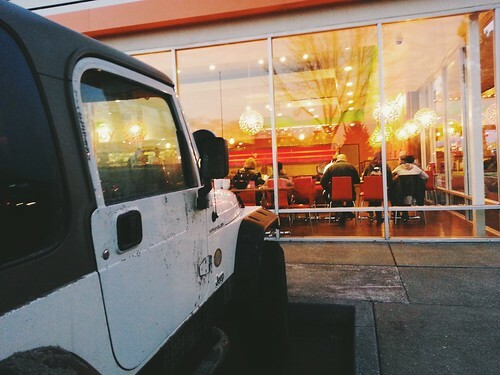 Others were seen ordering buffalo chickin wraps, mac and cheese, their new Yukon Gold fries, and many salads. I of course ordered my old standby – the Buffalo Bomber (wrap style) with the new fries. After the initial meet and greet was over, Mark worked his way down the agenda covering all the necessary topics including future jeep runs, a possible Jamboree, and future meetups. We also held a raffle, with some pretty cool prizes and many winners. Heaven in a wrap. Then smothered in buffalo sauce: The Buffalo Bomber! Many thanks to the crew at Veggie Grill in Hillsboro for their hard work and hospitality with this crazy group! Thanks to Andrew, the manager, and Filiberto and Amanda for pulling the orders together ahead of time.